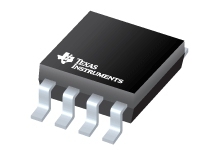 The LM3488 is a versatile low-side N-FET high-performance controller for switchingregulators. This device is suitable for use in topologies requiring low-side FET, such as boost,flyback, or SEPIC. Moreover, the LM3488 can be operated at extremely high switching frequency toreduce the overall solution size. The switching frequency of LM3488 can be adjusted to any valuefrom 100 kHz to 1 MHz by using a single external resistor or by synchronizing it to an externalclock. Current mode control provides superior bandwidth and transient response, besidescycle-by-cycle current limiting. Output current can be programmed with a single externalresistor. The LM3488 has built-in features such as thermal shutdown, short-circuit protection, andovervoltage protection. Power-saving shutdown mode reduces the total supply current to 5 µA andallows power supply sequencing. Internal soft-start limits the inrush current at start-up.